If you thought that my mum, Lynda, wasn't quite herself on this week's episode of the Great British Sewing Bee, you were absolutely right. She was in fact really poorly the week episode five was filmed, and there were a few times I didn't think she'd be able to compete at all, or that she'd have to leave the competition early due to ill health. Helen - on set.... and jumping into the Thames! As well as watching my washed-out mother struggling along, this week was quite sad for me in another regard when one of my favourite contestants left the show. Jenni has made me laugh and brought a tear to my eye on numerous occasions as a viewer, and last week I thought her time might well be up... but she made it through. This week she did well in the first challenge, and made a lovely alteration on the second, after the first day of this week's show it was looking so good. Hi Jenni and welcome. It's been great watching you on the Sewing Bee and seeing how far you got given that you're the least experienced sewer. Massive congratulations to you. 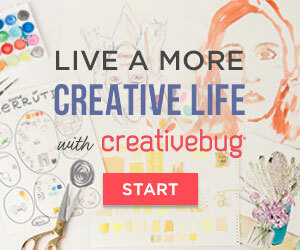 Can you tell us about your background and how you started sewing? I was very creative as a child - making thing out of old clothes and I generally loved anything to do with crafts. As a teenager I chose GCSE subjects in Textiles, Dance and Art but also did a lot of after-school activities like sport and choir. 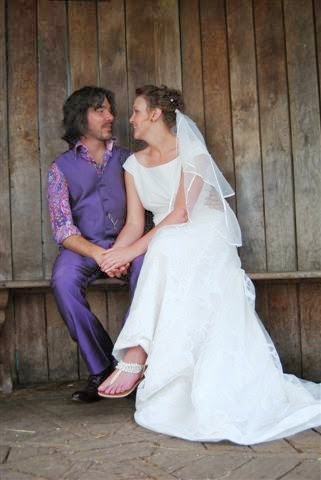 The first time I really got into sewing was when I decided to make my wedding dress. Which other crafts do you enjoy? Cooking, Painting and I also sing and play percussion in a band called Snooty Bobs. Why did you apply for the GBSB? I didn’t - my husband kirk did! I could have killed him at the time! I had only been sewing for about a year at that point. He quizzed me after watching the first series, about applying for it – I quickly said ‘don’t be stupid I’m not good enough to go on there’! 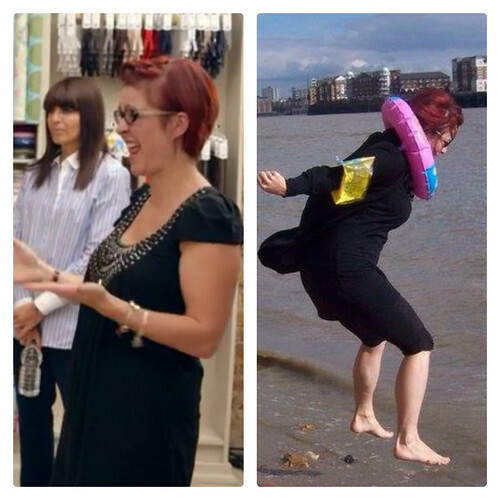 Obviously Kirk and The Great British Sewing Bee thought differently. It was a massive shock to even get the secret application accepted, let alone get through all the audition stages and then to appear on the show. 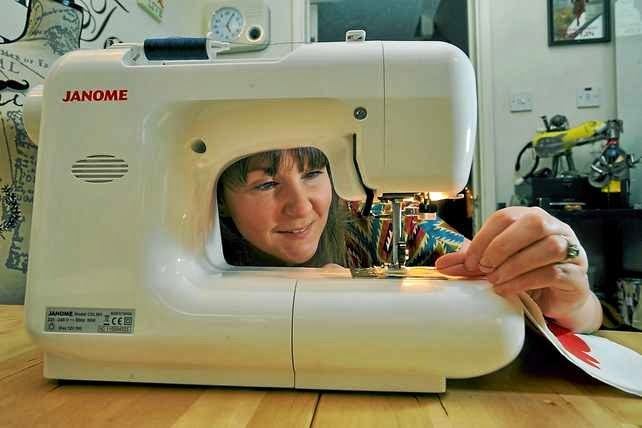 What have you learned about sewing, and about yourself since taking part in the competition? I have picked up so much, every day I was either learning something new or getting advice on how to perfect what I could already do from the judges and the challenges set by the Bee. Having the opportunity to work with so many different fabrics and equipment like the over-locker. It was great. Having such an array of tasks to complete was also a huge learning curve as we all got to use techniques that we may not have applied before. I feel I have discovered a lot about myself. I know that I need to have more confidence in myself and my abilities. That I really do need to give myself a huge pat on the back for getting as far as I did and be proud of what I have achieved pre- and post- Bee, in such a short space of time. Has anything changed for you since being on the show? It has given me the confidence boost to do what I love. Sewing, and showing others how to do it too. I originally wanted to be a teacher when I was a kid, and now I get to do exactly that through my up cycle recycle workshops, which I’m really excited about. I have also built my own website and started Blogging, which is a first for me and it is something that I’m really enjoying. I have been spotted a few times in Pubs and supermarkets. I can’t pop to the shop in my PJ’s anymore! Or maybe I can if they have moustaches and top hats on them! I hope my workshops build momentum and become a main fixture in my sewing career, but I am totally open to other avenues. Some people have mentioned a book, or that I should get my own programme. This did make me laugh as its just seems so surreal but I would love to do something like that! ‘pinch’ I just needed to remind myself that anything is possible. I have so much passion for sewing, I just want to get everyone doing it! Let’s start a sewing revolution!!! 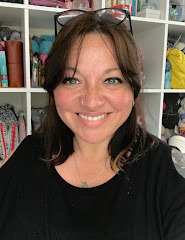 If you want to join in Jenni's sewing revolution, you can find her on Facebook, Twitter, Instagram and she has her own website which includes details of her workshops and gigs and her blog. I'm sure you'll all join me in wishing her the very best of luck with everything. I'd also like to thank Jenni and Helen for allowing me to use their personal photos. Was your mum ill? Bummer. Hope she's well now. Well done for making it through Linda. I was also sad to see Jenny go but hope she will be happily sewing for years to come.